NCR-SARE’s Professional Development Program (PDP) provides funds for professional development projects that provide sustainable agriculture training to agricultural professionals and educators in the Cooperative Extension Service (CES), Natural Resources Conservation Service (NRCS), other governmental agencies, and educators in the profit and non-profit sector serving the food and fiber system. Projects can be up to three years in duration, and funding level is capped at $75,000 for each project, but projects requesting less than full amount are encouraged. Approximately $450,000 will be available for funding projects. NCR-SARE will be accepting online proposal submissions using our online submission system. More information about the online submission system can be found in the call for proposals. Proposals are due at 4pm CDT on April 5, 2017. NCR-SARE’s Administrative Council (AC) members decide which projects will receive SARE funds. The AC includes a diverse mix of agricultural stakeholders in the region. Council members hail from regional farms and ranches, the Cooperative Extension Service, universities, federal agencies, and nonprofit organizations. 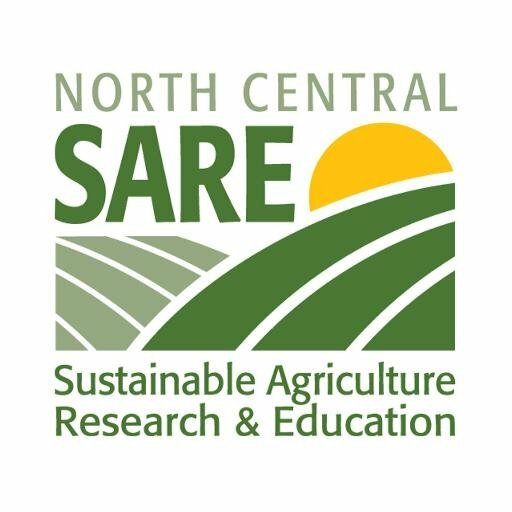 Since 1988, the SARE program has helped advance farming systems that are profitable, environmentally sound and good for communities through a nationwide research and education grants program. The program, part of USDA’s National Institute of Food and Agriculture, funds projects and conducts outreach designed to improve agricultural systems. Questions about the NCR-SARE Professional Development Grant Program can be addressed to PDP Regional Coordinator, Dr. Rob Myers at 573-882-1547 or myersrob@missouri.edu or to Wisconsin SARE coordinator Diane Mayerfeld at dbmayerfeld@wisc.edu.